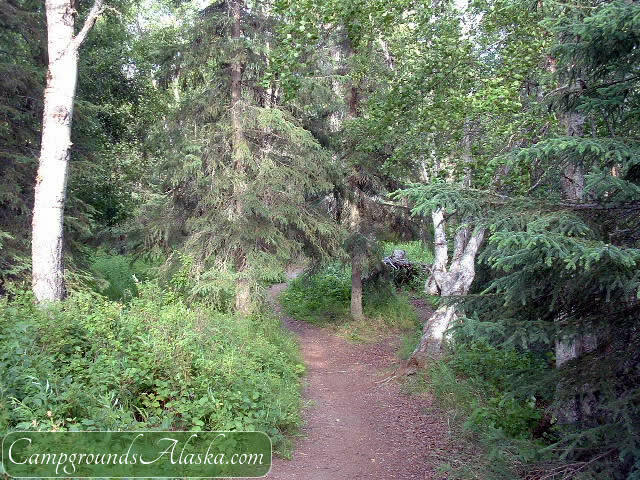 Captain Cook State Park near Kenai Alaska is located on the coast between Cook Inlet and the Kenai National Moose Range. Getting to Captain Cook Park is pretty easy. You travel west from Soldotna along the Kenai Spur Highway passing through the town of Kenai. Continue following the Kenai Spur road as it turns north passing the Tesoro Petroleum Refinery and on through the small one block town of Nikiski and on to the entrance to Captain Cook State Recreation Area where the road ends at milepost 36. 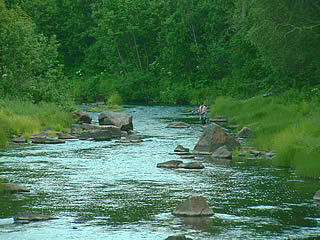 Captain Cook State Park opened in the 1970s covering some 3,466 acres of semi-wilderness land. Access has always been from the end of the Kenai Spur Highway. 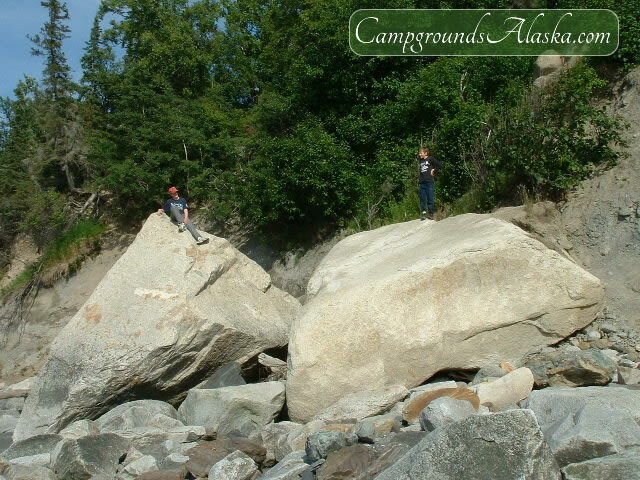 The park boundaries, which start at Milepost 36 of the Kenai Spur includes tide-water beaches along the shoreline of Cook Inlet; canoeing and salmon fishing on the Swanson River; boating, fishing and swimming on Stormy Lake; and camping at the undiscovered gem of Discovery Campground at the very end of the paved road. For day users, there are picnic facilities at Stormy Lake, Bishop Creek and adjacent to Discovery Campground. There is a $5.00 parking fee at Discovery Park Day Use Area. Some of the popular things to do in the park include canoeing on the Swanson River Canoe System, the lower takeout is located just a mile from the entrance to Discovery Campground. ATV's are a popular activity in Captain Cook State Park. Along the beaches north from Discovery Campground as well as from the access road and parking lot at the entrance to the campground ATV's are often seen. Boating, fishing and swimming in Stormy Lake is often enjoyed by many locals. The lake has a great boat launch and also a renovated picnic and day use area with covered tables, toilets, lake access and loads of parking too. There is a $5.00 parking and boat launch fee collected at the kiosk. Hiking is also popular especially from the parking lot for Bishop Creek Day Use Area. The sandy beaches below offer excellent beach-combing, agate hunting and swimming where Bishop Creek enters the beach. There is a $5.00 per day parking fee at Bishop Creek Day Use Area. Campgrounds near Captain Cook State Park.